Book 2 in the Award-Winning Bloodline of Yule Trilogy. 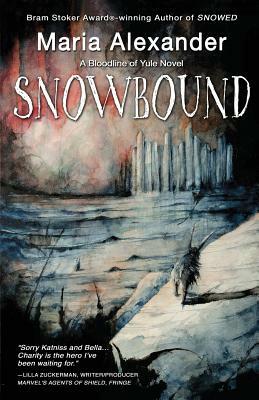 The highly anticipated sequel to the Bram Stoker Award-winning Book 1, Snowed. Kidnapped by his father, Aidan MacNichol returns home to a terrifying ice fortress in the Arctic Ocean. His dying father makes Aidan a deal: if Aidan finds a mysterious healing agent beneath the fortress, he's free to leave. Aidan sets out on the perilous journey for the cure, but finds the cost is far greater than he could possibly imagine. Meanwhile, Charity Jones leads her friends on an armed, high-tech expedition to the Arctic coordinates she's seen in her dreams. Their mission: to kill Krampus and save Aidan. But when Charity discovers Aidan's shocking fate, she makes a mistake that starts the countdown to apocalypse. Can Charity and her team stop the clock?